What exactly qualifies you for US tax system if you are non US citizen? Let’s examine everything you need to know about US tax rules for non-residents and the best way to legally avoid or reduce your tax if you are one. I just got off the phone with Jonathan. Jonathan used to be a US green card holder. However, he eventually realized that his little card came with some intense tax obligations that were not worth the benefits he thought he would get out of the deal. He recently surrendered his permanent resident status in the United States and was convinced that that was the end of the nightmare. He was sure that his US tax obligations were over with now that he had given up his green card. And he was not happy when he discovered that a country he was not born in and was no longer tied to as a resident still demanded that he pay them their “fair share,” even though he was now living on the other side of the world. It turns out, Jonathan missed a few steps on his way out the door. Unfortunately, Uncle Sam was 100% legally justified in asking Jonathan to hand over his cash and whip up a colossal pile of tax documents. True to character, the United States manages to make it difficult for anyone to cut ties with them – not just citizens but residents too. In fact, the US has even found ways to tax folks who are nonresidents. This unpleasant reminder of just how wide a reach “the land of the free” has on anyone who would dare to – even once – live or make money within its borders, inspired me to tackle this topic once and for all in the hopes that fewer folks like Jonathan make the same mistake and unknowingly end up in Uncle Sam’s tax trap. For non-US citizens, the first distinction to be made when it comes to avoiding taxation in the US is the distinction between immigration law and tax law. While immigration law divides people into numerous groups – citizens, resident immigrants, nonimmigrants, and undocumented (illegal) immigrants – tax law only divides them into two: resident and nonresident. Whether you are tax resident or not has less to do with your immigration status and much more to do with the length of time you spend in the United States. 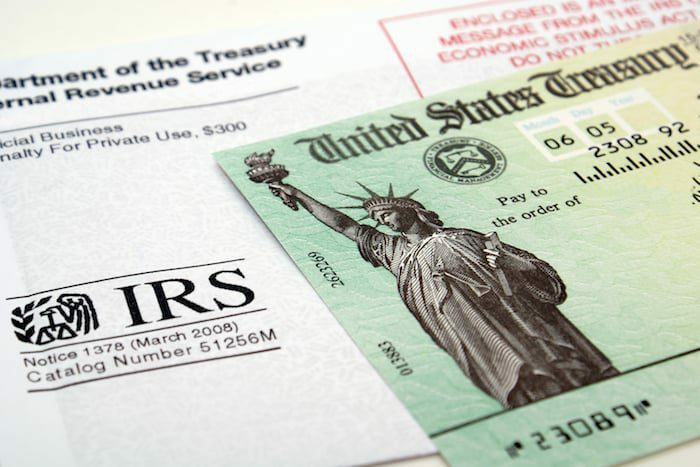 Understanding how the IRS applies the labels of tax resident or nonresident will allow you to develop an informed plan about how much time you spend in the United States in order to avoid situations that will obligate you to report your income and possibly even manage to legally not pay taxes to Uncle Sam. What Qualifies You As a US Tax Resident? While it is generally known that all US citizens and green card holders must file US tax returns, most people are unfamiliar with the laws that subject many nonimmigrants (i.e., those who move to the US on non-resident visas) to US taxation on their worldwide income. If they are not careful, a nonresident visa holder can become a US tax resident. Since I’ve extensively covered the many options for reducing your tax burden as a US citizen in other articles on this site, we’ll only examine the last three options, which apply to resident aliens. Resident aliens are non-US citizens who either have a green card or have spent 183 days or more in the United States in the past three years. If you have applied for and been issued an alien registration card (commonly known as a green card) you are considered a lawful permanent resident of the United States. This automatically deems you a tax resident of the US from the date your new immigration status went into effect going forward. Unless you are eligible for an exception, you will be taxed on the same grounds as US citizens, with all the same laws, regulations, and reporting obligations. Even if you live outside the United States, as long as you are a green card holder, you must report your worldwide income and pay any necessary tax to the land of the free. As Jonathan’s story reminded me, simply surrendering your green card may not be enough to relieve you of your tax obligations. Jonathan’s mistake? He forgot to inform the Department of Homeland Security that he had given up his green card. The IRS will still classify you as a tax resident of the United States until you notify the Department of Homeland security that you have relinquished your permanent residence and you deliver the documentation they request. Furthermore, if you leave the US for any period of time as a green card holder, you must obtain a certificate of compliance stating that you have paid your US taxes before leaving. In some cases, you may be required to file a tax return and pay any taxes due at the point of departure before leaving the country. If you do plan to leave, review Form 1040-C to learn what you must report. Each year, non-US citizens visit the United States as nonimmigrants for numerous reasons. Some come as tourists, others come as college students, teachers, professors, athletes, exchange visitors, temporary workers, business people, diplomats, trainees, religious representatives, medical patients and more. 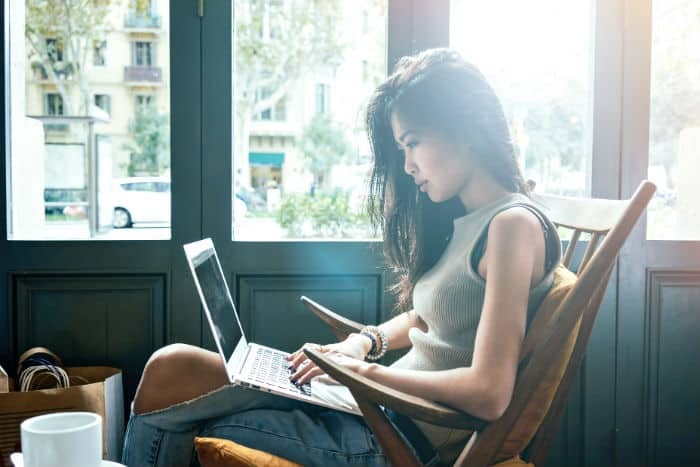 While they are not permanent residents, many of these folks could become tax residents of the United States if they spend a certain amount of time in the country each year. The test to determine whether or not they have reached that threshold is called the Substantial Presence Test. Under the rules of the Substantial Presence Test, even illegal immigrants will be treated as tax residents in the United States and will be required to report and pay any taxes due. Will spend at least 183 “days” in the US within a three-year period. For example, while you may have spent 90 days in the US in year two, only 30 of those days would count toward the 183-day limit. Conversely, if you spent 183 days in the US during the current year, then you will automatically qualify as a tax resident, regardless of how many days you spent in the US for the two years previous. While you could work with various combinations of days spent in the US each year to stay within the limit, the general rule is that if you are physically present in the US for 120 days or less each calendar year, you will avoid qualifying as a US tax resident indefinitely. There are a few exclusions to the 183-day rule. For example, the days’ regular commuters cross the border to work in the US from either Canada or Mexico do not factor into the formula. However, cross-border shopping trips will count as a full day toward the 183-day limit. If you qualify as a tax resident in the United States, you will be subject to the same rules as US citizens in regards to filing and paying taxes. This means that you must report your worldwide income, including all investment income, capital gains, regular employment income, income from non-US rental properties, and even income from foreign pensions. Finally, while becoming a tax resident does mean that you will have to report your entire worldwide income, it does not necessarily mean that the IRS will tax you for everything that you report. Still, the reporting requirement is ‘taxing’ enough to motivate most people to avoid the tax resident status. The good news is that the residence test contains numerous exemptions that relieve a large percentage of legal aliens in the US from having to report or pay income tax. The IRS considers these folks nonresidents for tax purposes – or, tax nonresidents. The days an exempt individual spends in the United States will not count toward the 183-day threshold of the Substantial Presence Test, which would make them liable to report their worldwide income. This does not, however, exempt them from paying tax on their US-sourced income. Each exemption comes with its own timeline. For instance, teachers and trainees on a J or Q visa can claim the exempt individual status no more than two calendar years every six calendar years. Similarly, students are granted five exempt calendar years before they are subject to the Substantial Presence Test. However, unlike the Substantial Presence Test, any day an exempt individual spends in the United States during a calendar year counts as a full calendar year. If you arrive in December, for example, then that entire year will count toward one of your exempt calendar years. Plan accordingly. The second way to avoid being labeled as a US tax resident by the IRS is through a tax treaty. To prevent double taxation, the US has tax treaties with over 60 countries. The credit obtained through such treaties is separate from, and in addition to, the foreign tax credits you can claim by filing Form 1116. You have been physically present in the US for more than 183 days. By filing Form 1040NR with a Form 8833 treaty election, you can be treated as a tax resident of your origin country and avoid being classified as a US tax resident. This, of course, can only be used if you can prove that your origin country is your permanent home. While the tax treaty serves as a tiebreaker if you are equally a resident of both countries, it will be difficult to claim the right to the tax treaties if your “vital interests” and “habitual abode” are centered in the US. Lamentably, using a tax treaty to be taxed as a US nonresident does not mean that you are free of your reporting obligations. The IRS will still expect you to report financial accounts and interests in foreign corporations, trusts, and partnerships. 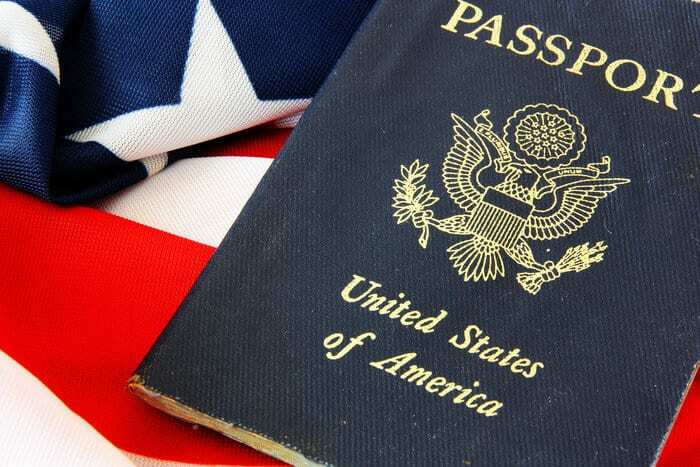 Other factors that will establish a closer connection to your country of origin include which country you designate as your “country of residence” on official forms and documents, how you file official forms (as a US or foreign resident), your various cultural and social affiliations, where you have a driver’s license, where you vote, and where you conduct business activities. If you can prove that you have a closer connection with another country, you will be exempt from taxation in the US, even if you have a residence there. As you’ve probably already noted, being a nonresident for tax purposes does not necessarily mean that you will not pay tax in the US. It simply means that you do not have to report and pay tax on your worldwide income. Nonresidents are taxed according to the rules stated above and are usually only liable to pay federal income tax on income earned within the United States or from a US trade or business. Recently, one of my team members moved to the United States with her family. While she is a US citizen by birth, she met her husband abroad and they had chosen to live overseas for many years. When an illness in the family motivated them to make the move back, however, they obtained her husband’s permanent resident card in the US. For the eight months of 2017 leading up to their move, she was accumulating her time to qualify for the Foreign Earned Income Exclusion (FEIE) that she had claimed so many times before. And, up to that point, her husband had had no tax obligations to the United States. All of that changed the day they moved. Now that they are in the US, my team member can no longer claim the FEIE and her husband is now officially a US tax resident. While the cost is worth it to them, it certainly comes with a sacrifice. The good news is that tax residency only began for her husband from the date they moved. It is not retroactive and only applies going forward. This means that for their first calendar year in the US, he will be a dual status alien. Dual status simply means that you are considered both a resident and nonresident in the same year. When this is the case, special rules apply. These special rules, while ultimately beneficial, can make your tax return much more complicated. When you file as a dual status alien, you cannot use the standard deduction or file a joint return if you are married. Instead, you are required to file Form 1040NR or 1040NR-EZ separately. You must write “Dual Status Return” across the top of each page and show the income and deductions only for the part of the year you were a resident. You must also include a statement that outlines all income earned as a resident versus as a nonresident. For those who would rather elect to file a joint return, there is an option to elect to be treated as a resident for the whole year and file with your spouse. 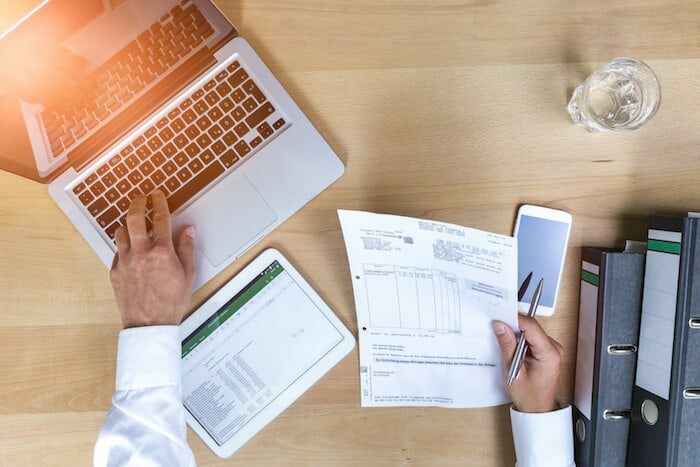 This will subject you to being taxed on your worldwide income for the entire year, so it largely depends on your personal situation and which option is more convenient to you. If you are not married, you can also elect what is called the “First-Year Choice” and choose to pass the Substantial Presence Test and pay taxes for the full year. Again, choosing this option all depends on what works best for you. You can obtain dual status when you enter the US and receive permanent residence, when you pass the substantial presence test the year you arrive, when you hold a J, F, M, or Q visa for part of the year and permanent residence the other part, and when you leave the United States on a permanent basis during a year in which you qualify as a tax resident. This last means of obtaining the dual taxation status would have been beneficial to Jonathan, who could have terminated his US residency and then applied for dual status. He only needed to determine his residency termination date as the last day in the calendar year that he lived in the US. This way, he would have only been liable for income earned before he left the United States. If all of this sounds a little complicated, it’s because it is. The endless number of hoops you have to jump through to meet one requirement or avoid another can become incredibly frustrating. That’s why I just don’t visit the US much – if at all – anymore. However, it is possible to find a simple approach to spending time in the United States without being taxed by the US government: just limit the time you spend there and be aware that there are certain tax myths for expats and nomads circling around that are not true. That is why I suggest to always do your homework. If you’re a nonimmigrant, just stay within the 120 days that will keep you from passing the Substantial Presence Test and you can avoid being classified as a tax resident in the United States. Very clear. It’s incredible how the trap is there round the corner as no everybody knows that by staying more than 183 day per year, even not continuously, you are caught up with the obligation to file taxes even for your non US sourced income. This means that if you have an investment in real state in any US city you can enjoy it only 183 each year, otherwise you are taxed as a permanent resident when you are a non resident alien and without getting back anything in exchange, like the possibility to get health care through the Affordable Act (health market care, also known as Obamacare). Our countries should do the same based on reciprocity. JL. What if you have a holiday home in US but you do not exceed 120 days, do you have to file tax returns or pay tax? Andrew, I permanently left the US in 2014. I had a green card for 7 years and completed a form I-407 Abandonment of Permanent Resident Status, lodged this with my US consulate in Australia and received an confirmatory receipt. Do I still need to also lodge the form 8854 with the Department of Homeland Security? We are i of hundreds of thousands of Canadian snowbirds in Florida who do not file closer connection forms. Practically speaking how does IRS get this information and how many Canadians get a letter and where would IRS send the demand to file a return. How many years back? Generally, what are the pitfalls for permanent residents with substantial funds held in US upon retirement? Are they likely to be less if I have Citizenship? I have been PR for 36 years. How can you keep social security check or disability if you live abroad or do you lose them both,and what best countries would you recommend living and make a decent living with tourism. ?